Teaching Physical Education, Online Edition, offers teachers a foundation for understanding the decision-making structures that exist in all teaching/learning environments and for recognizing the variables that increase effectiveness while teaching physical education. In this thoroughly revised and streamlined edition, all chapters have been updated to include hundreds of real-world examples, concise charts, practical forms, and concrete suggestions for "deliberate teaching" so that teachers can understand their classrooms' flow of events, analyze decision structures, implement adjustments that are appropriate for particular classroom situations, and deliberately combine styles to achieve effective variations. As in prior editions, individual chapters describe the anatomy of the decision structure as it relates to teachers and learners, the objectives (O-T-L-O) of each style, and the application of each style to various activities and educational goals. Do not use the 5th edition of Teaching Physical Education. Due to a publishing error the fifth edition book was printed with incorrect information. If you own a fifth edition copy, please do not use this book without first downloading the corrections in the file provided. 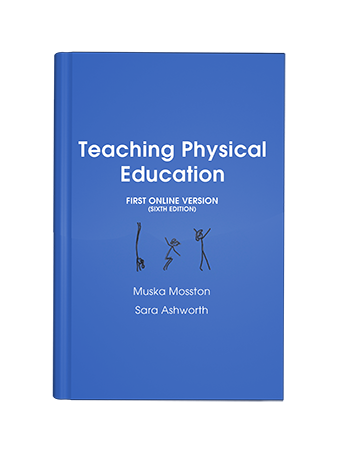 Alternatively Teaching Physical Education, Online Edition, is also provided for download and contains the corrections as well as the most up to date Spectrum information.